ESTV Ltd, the operator of the local TV service for London has been granted permission by Ofcom to reduce the number of repeats it has to show on the London Live channel. Following the rejection of an earlier request to reduce the amount of local programming and to water down the channel's 'hyper-local' programming commitments, ESTV went back to Ofcom on the 17th September with a new request. 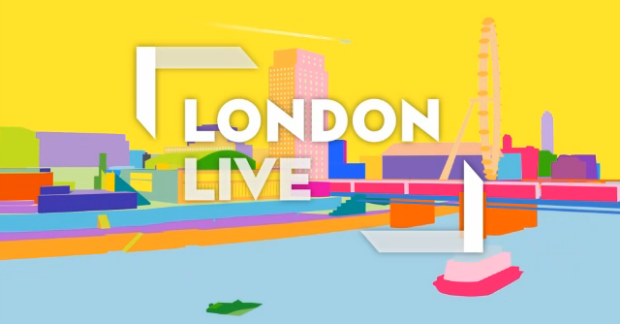 Reviewing the revised request to change London Live's commitments, Ofcom's Broadcast Licensing Committee agreed that the "character of the service overall would still be maintained following the requested variations, and in particular that the amount of local programming hours required under the licence would still be sufficiently high to be consistent with delivery of the programming output. Accordingly, after clarifying with ESTV that a prohibition on teleshopping and gambling in peak-time hours would (if the request were approved) be included in ESTV’s licence, on 6 October the BLC decided that the requested variations would not constitute a departure from the character of the service, and that they should be allowed. " It's decision avoided the need for a further public consultation. As a result, London Live may cut the hours dedicated to repeats of local programmes from 10 hours to 6 hours per day until the end of its first year on air in March, then 5 hours instead of 9 hours a day in year 2, 4 hours a day instead of 8 hours in year 3 and beyond. Repeats of local programming in peak-time (6 - 10:30pm) are no longer required. The channel is still committed to broadcasting 3 hours of local programmes in peak-time during the first year on air and 3 1/2 hours from year 2, leaving 1 1/2 hours, later 1 hour per night available for bought-in programmes. London Live's earlier plans which went to public consultation were severely critised by other broadcasters and failed applicants for the London local TV licence.